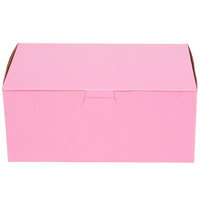 Watch your delicious baked goods soar out of the door with this 6" x 4 1/2" x 2 3/4" pink cake / bakery box! 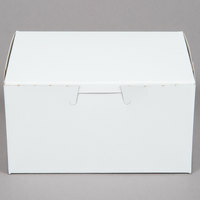 Entice your customers into taking home your delectable cakes, cookies, or cupcakes with this 6" x 4 1/2" x 2 3/4" cake / bakery box. 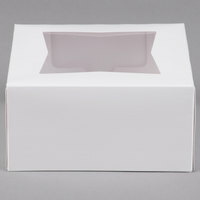 The one piece design allows the lid to be opened easily and then tucked back into place to secure the contents. 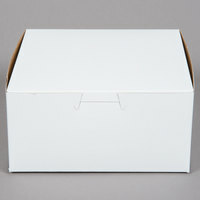 Make sure your bakery is complete by providing a durable cake box for your customers! Compostable products will naturally degrade into nutrient-rich organic materials when disposed of with other compostable items in limited areas where facilities exist, leaving no visible or toxic residue. 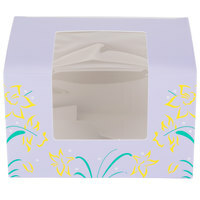 "Love these boxes, they are so cute and customers cannot get enough of them. They are perfect for mini cupcakes or a small assortment of cookies." Show off your baked goods in style! Their bold, pink exteriors are complemented by subtle natural brown interiors for a dramatic look that's bursting with personality. 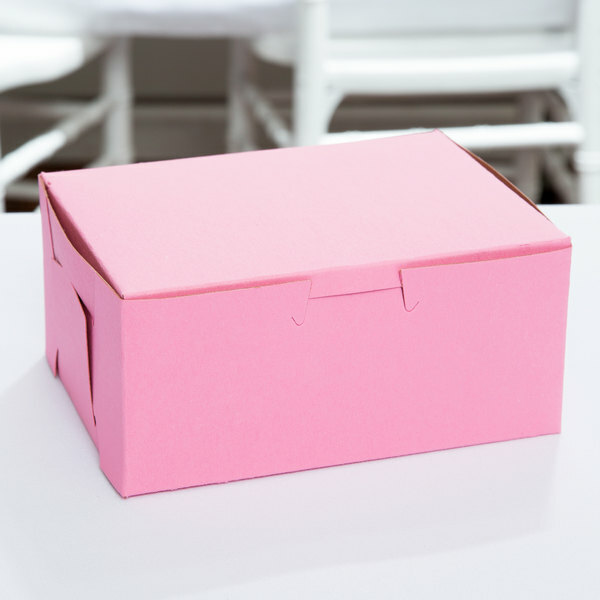 Great for packaging cakes and cupcakes for bridal showers, and any type of celebration, these chic boxes add a little pizzazz! 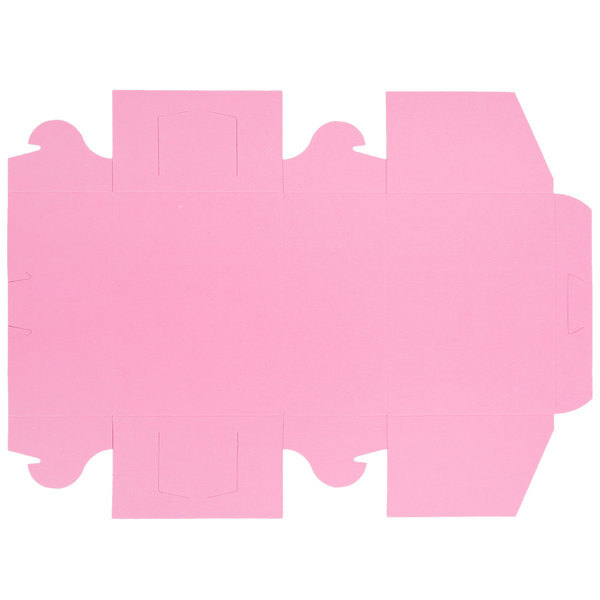 The light pink exterior also makes it easy to customize each box with stamps or labels. 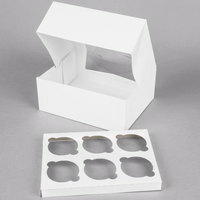 The convenient 6" x 4 1/2" x 2 3/4" size is the perfect size for holding cakes, cupcakes, and cookies. 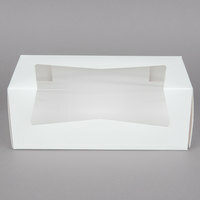 Whatever your needs are, this versatile cake box is is a convenient item to keep on hand at your bakery. 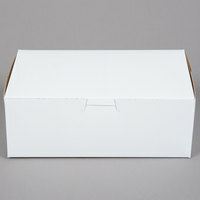 These bakery boxes come as flat sheets for convenient storage, and assemble easily with folding and locking tabs at the sides. This makes it ideal for storing in smaller spaces. 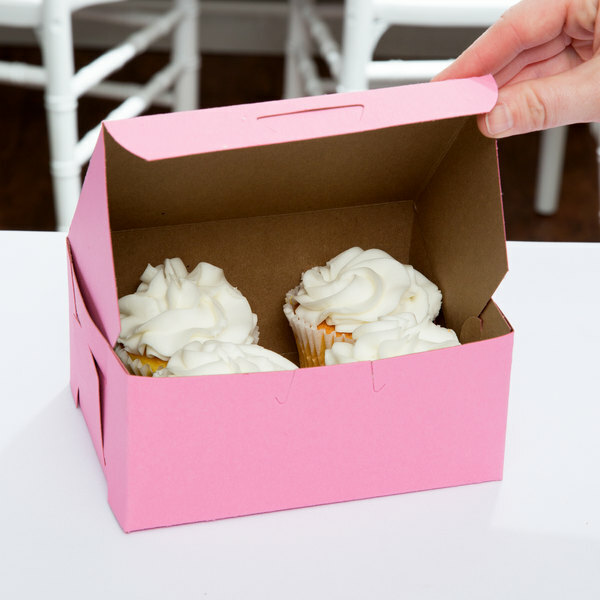 A durable tuck top design and one-piece construction ensure fast, efficient packaging of your decadent cakes, pies, cookies, and cupcakes, while a lock corner enables you to display your items with the lid propped open. Assembling a lock corner bakery box doesn't have to be difficult! In less than 60 seconds, learn how easy it is to fold and lock the box so that it's ready to safely store or transport your finest cakes, pies, and other sweet treats. 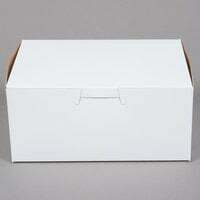 To assemble lock corner bakery boxes, first fold the edges inward, and then fold the centers. Next, lift up the back, and insert the tabs, locking them in place. Lock the front tabs. You can now insert the pie, muffins, or other treats into the box. To close the box, choose one of two methods. Option one entails locking the top tab and taping the sides closed. Option two requires just the sides to be folded in for secure closure. That's all it takes! These boxes are a pretty color, easy to assemble, and very reasonably priced. They hold about a dozen cookies, perfect for gifting. My only quibble: I wish the interiors were white. Love these boxes, they are so cute and customers cannot get enough of them. They are perfect for mini cupcakes or a small assortment of cookies. 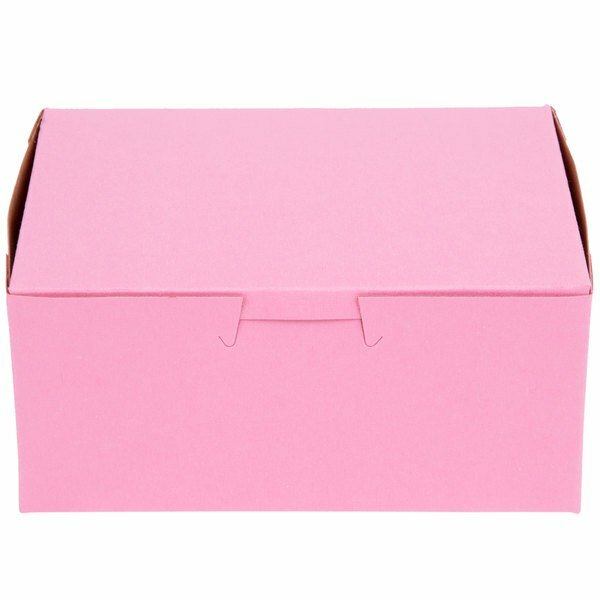 I normally order the bigger boxes but these work great for customers who want a few treats. I would rather give them a nice box than a bag. Not to small, not too big. Love These Boxes!! !...I purchased them for my companies "Sweet Friday's" the pink color is beautiful and the shape is the perfect fit for the cute little bags we out them in!!! We definitely needed to order these for our business and we are glad that we did. This came in right on time and the delivery was fast and with out any issues what so ever. We will be ordering more. The selection was great and we took our time doing quality research, the products are the best and the pricing is as well. I love these little pink boxes.. they fit small pastry or cookies or even two cupcakes. I will definitely order these again. My customers love them too! We've been using these boxes for years now. We use them to hold two or three cupcakes or 4 cake pops. They fit perfectly, the boxes close without smushing the frosting and they are very sturdy. We also love the pink color. I definitely recommend them. These boxes are not only pretty, but they are sturdy as well-made. The only downside is that they are pretty small, but that is my own fault because I should have measured. They could easily fit two cupcakes, but if you pile the frosting high the box would not close. 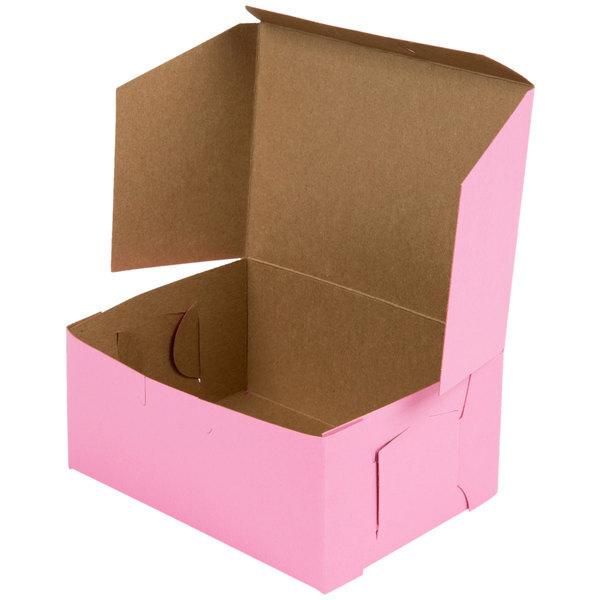 I plan to buy more pink boxes in a larger size along with some inserts too.